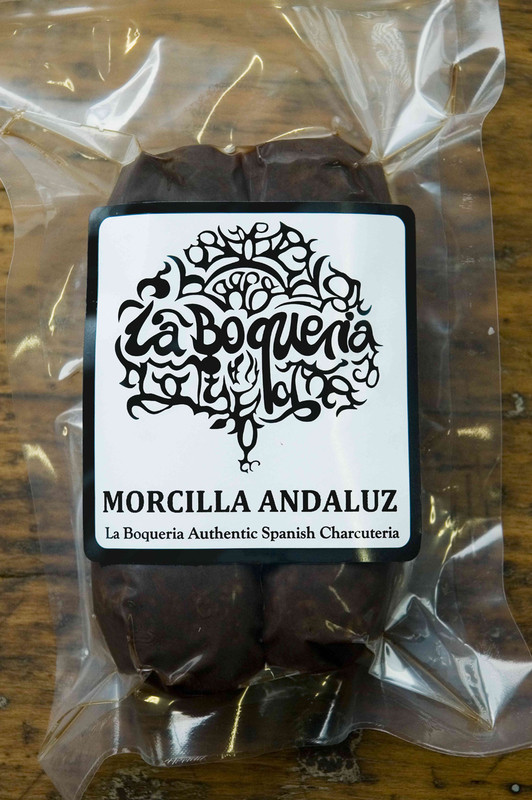 Morcilla de Andalucía (Cebolla), the Spanish blood sausage, Onion, & Spices. Morcilla de Andalucía (Cebolla), the Spanish blood sausage, Onion, & Spices. Soft to the pallet, clean flavour with Back-fat, Spices and Pig’s blood with a sweet note from the onion.